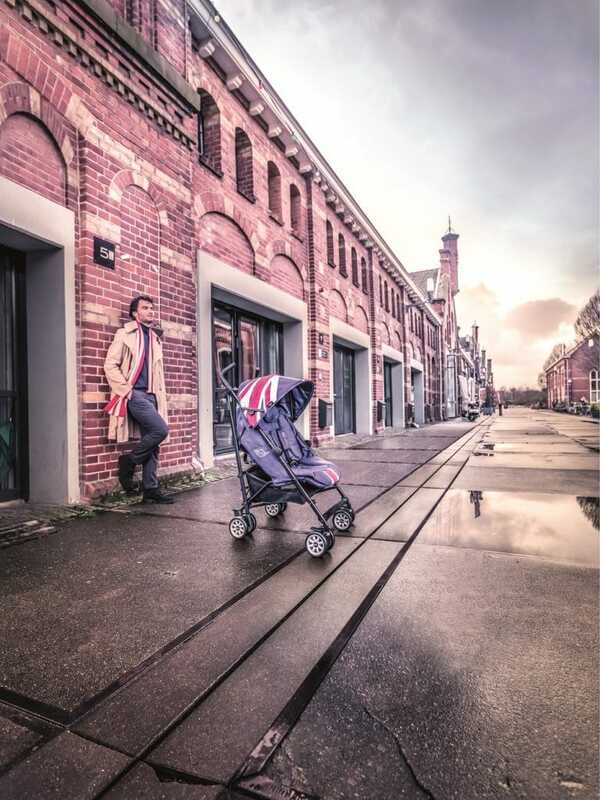 Easywalker, an Amsterdam brand which is founded in 1989, defines a way of life for parents who have babies and toddlers. The idea of Easywalker definitely help to reduce burden and make many new parents’ life easier in 42 countries all around the world. If you are a fashion mom or dad who enjoys travel around, Mini Buggy allows you to drive your little in style. The Mini Buggy which is very versatile and ergonomic in design, is one of the most well-known baby strollers in the market. It is famous for its sturdy build and stylish physique. Meanwhile, Mini Buggy is designed in cooperation with MINI of BMW Group Germany. Through the wheel bearings, the MINI gives the little one a comfortable ride than any other buggy. Besides, with the rain cover, you can still make your small contact through the window although it is raining. The Mini Buggy is truly easy to fold, carry and store, this is what makes it as the perfect travel companion. In this post, let’s find out more about some major features and benefits of the Mini Buggy by Easywalker! The most excellent quality of the Easywalker Mini Buggy is instantly apparent. It features a neat and compact design that can easily fit in the back of any car. You’ll find that it is quite easy to break out and simple to unfold into its full version. It also comes with a cushy mattress that will make the stroll extremely comfortable for the baby or toddler. Furthermore, you can handle the casters easily and spend some quality time with your child. 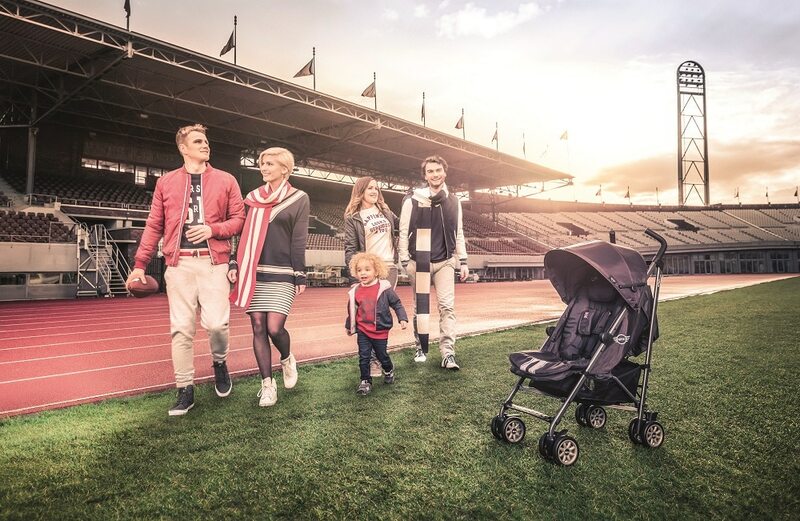 The Easywalker Mini Buggy is one of those extremely versatile stroller designs that can drive well on stone, grass and smooth terrains. It is the greatest benefits for those who like to take regular strolls outside with their children. Furthermore, the Mini Buggy comes with an adjustable backrest that will always keep your child comfortable. The Mini Buggy by Easywalker comes with some very pragmatic accessories. Firstly, you have the rain cap for rainy weather. Then you have the XL Solar Hood for when the sun is too bright to be comfortable. This Solar Hood is adjustable and it can be modulated into 3 positions, keeping your baby out of the sun’s glare with easy versatility. One of the positions offers total shadow protection, so only your baby’s feet are visible. It also comes with a ventilation gauze to let in fresh air. Furthermore, the Easywalker Mini Buggy has been voted “The Best Of The 2017 Test”. It obviously shows that the strength of Mini Buggy is truly safe, compact and durable. You do not have to worry much since the Easywalker Mini Buggy can be used for newborn baby. On the other hand, it is also suitable for the toddler as the maximum carrying weight could be 20 kg despite it weighs 6.5 kg. The Mini Buggy by Easywalker is a high-quality product that has been strenuously tested according to the strict Europen standard (EN1888). 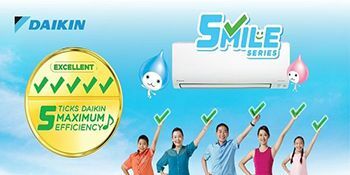 At the same time, it has been officially approved according to fire safety and chemical guidelines. Furthermore, the 5-point soft seat belt ensures your child is safe and comfortable. The harness can be adjusted left and right for added safety. 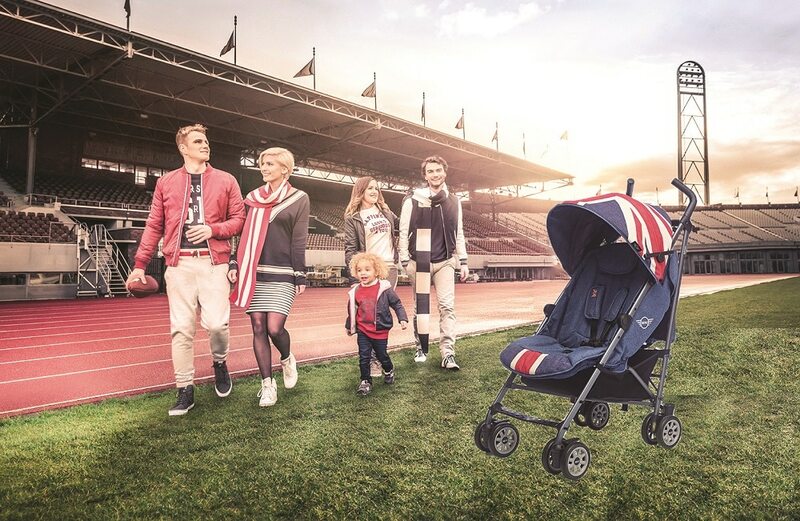 Last but not least, there are 6 colors offered for the Mini Buggy such as Union Jack Vintage and Classic, Milky and Midnight Jack, as well as Special Edition of Union Red and Jet Set Black. Now, you get to know the benefits of the Mini Buggy, it is time for you to think of which color you should pick!